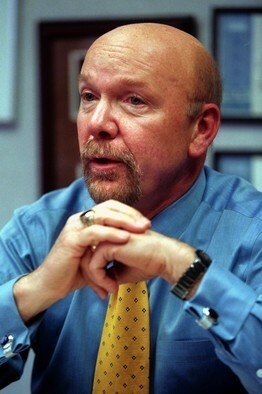 Best Buy founder Richard Schulze stepped down as chairman in June following the discovery that he was aware of an inappropriate relationship between former CEO Brian Dunn and a female employee. But the 71-year-old Schulze, who owns a 20.1 percent stake in the company, is itching to get back to work and has offered to buy the retailer for up to $28 per share, or 38 percent higher than the company’s closing price on August 3, according to a report from Bloomberg. In a letter addressed to Best Buy’s board, the founder offered to contribute $1 billion of his personal money towards a deal with the remainder of the $8.5 billion sum coming from financing and private-equity firms. His credit adviser is confident that it can obtain the necessary financing to complete a deal. Schulze could have cashed out his large stake in the company and lived a comfortable life but the entrepreneur isn’t ready to call it quits just yet. In his letter to the board, Schulze said he has been exploring all available options with regards to his ownership stake and believes that bold and extensive changes are needed for Best Buy to return to market leadership. The best way for this to happen is under a different ownership structure, he concludes. News of the offer struck a chord with investors as shares in the big box company shot up 22 percent, resulting in the biggest single day gain since October 2002. Overall share value in the company has dropped 25 percent since the beginning of the year, however.